In a real-world network, different hosts involved in covert channel communication run different covert channel software as well as different versions of such software, i.e. these systems use different network protocols for a covert channel. A program that implements a network covert channel for mobile usage thus must be capable of utilizing multiple network protocols to deal with a number of different covert networks and hosts. We present calculation methods for utilizable header areas in network protocols, calculations for channel optimization, an algorithm to minimize a covert channel’s overhead traffic, as well as implementation-related solutions for such a mobile environment. By minimizing the channel’s overhead depending on the set of supported protocols between mobile hosts, we also minimize the attention raised through the channel’s traffic. 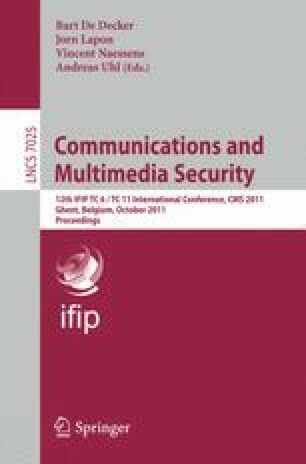 We also show how existing covert network channel infrastructure can be modified without replacing all existing infrastructure elements by proposing the handling of backward-compatible software versions.